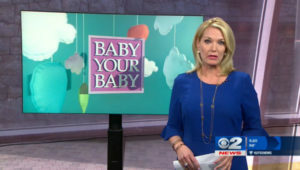 (KUTV) After a woman gives birth, the focus often switches to the baby, but it’s important to still care for mom – both physically and emotionally. “Postpartum or perinatal mood disorders affect about one in seven women,” Melanie Arrington, Registered Nurse at Intermountain Utah Valley Hospital said. Becoming a new mom is not easy. From diapers and bottles to sleepless nights, it’s not uncommon for a new mom’s health to suffer. “We deliver here just at Utah Valley Hospital between 4,000 and 4,500 babies a year. So if you think 13 percent of those women may have a perinatal mood disorder, that’s pretty significant,” Arrington said. Not all perinatal mood disorders have the same symptoms. This is why Utah Valley Hospital has implemented a postpartum screening process for all new moms. “It’s a series of 10 questions and we give this to our new moms on admission,” Arrington said. After a week or two, moms are asked to take the test again. Arrington said at that point, a lot of new emotions and potential symptoms have settled in. Arrington, a registered nurse at Utah Valley Hospital, says her desire to help women in personal. “My family has a personal experience, a tragedy really, where my sister-in-law lost her life after having a perinatal mood disorder,” Arrington said. She wants all new moms to know that perinatal mood disorders are treatable, temporary, and can affect any mom. In addition to screening, Utah Valley Hospital also talks to new moms about resources in the community. They’ve partnered with some resources to help moms get support once they go home. Postpartum Support International: Provides education and resources to mothers.